Small one gallon Ashfield Mass. 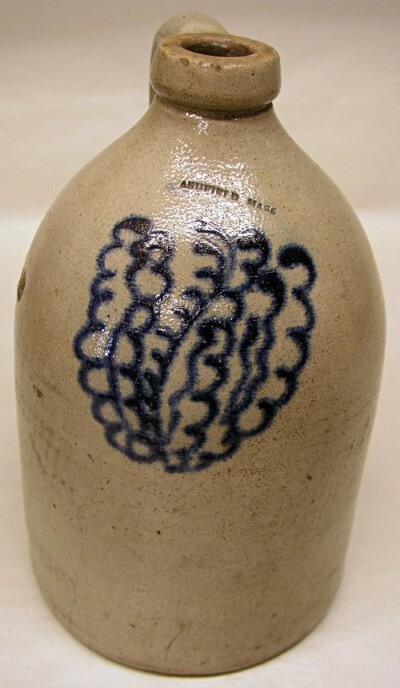 stoneware jug with unusual blue decoration. Great small size in wonderful condition with crisp blue decoration.